EA’s upcoming Star Wars Battlefront 2 and the new Need for Speed installment will be playable at the publisher’s own E3 event this year. Like previous year, EA will be organizing its own E3 event this June – EA Play. During the event, which runs from June 10 till June 12, players will be able to get some hands-on time with EA Dice’s Star Wars Battlefront 2 and EA Ghost’s new Need for Speed game. So let’s get to it. From June 10 – 12, players joining us in Hollywood will get hands-on with the next Star Wars™ Battlefront and Need for Speed™ experiences. You’ll also get your first chance to play many of our upcoming EA SPORTS™ titles: Madden NFL 18, FIFA 18 and NBA LIVE 18. This isn’t all, by the way…and we’ll have more to share in the coming months. Beyond the hands-on experience in Hollywood, we have an extensive content program for our players joining us online. Throughout the three-day event, we will be providing you with detailed gameplay deep dives, competitive events and exclusive interviews with the development teams. So whether you’re experiencing EA PLAY in-person or watching online, be sure to join us starting June 10. EA Play will take place in Hollywood and tickets will go on sale on April 20 at 9:00 AM PST. EA has yet to officially announced the new Battlefront, but the publisher already confirmed that it’s in the works. 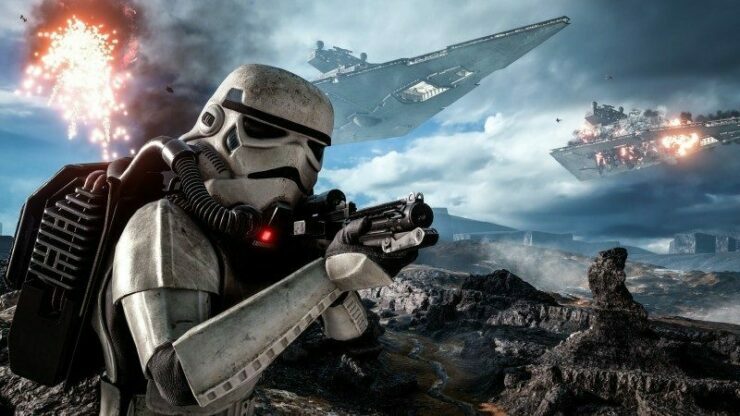 Battlefront 2 is being developed by EA’s DICE studio, Motive, and Criterion. The sequel will feature more eras, game modes, characters, and ships. Not much is known about EA Ghost’s new Need for Speed, but EA has been actively hiring for the game since early 2016. The racer is expected to release later this year. Star Wars Battlefront 2 Review – Can Battlefront 2 Survive Without Its Pay To Win System?